One of Austin’s most popular events just saw its largest attendance ever. RTX, the gaming and internet culture convention thrown by local digital production company Rooster Teeth, attracted over 62,000 attendees to the Austin Convention Center from July 7-9, 2017. This headcount is the most RTX has ever entertained. In 2016, the event boasted around 60,000 attendees, which was 15,000 more than in 2015 (45,000). 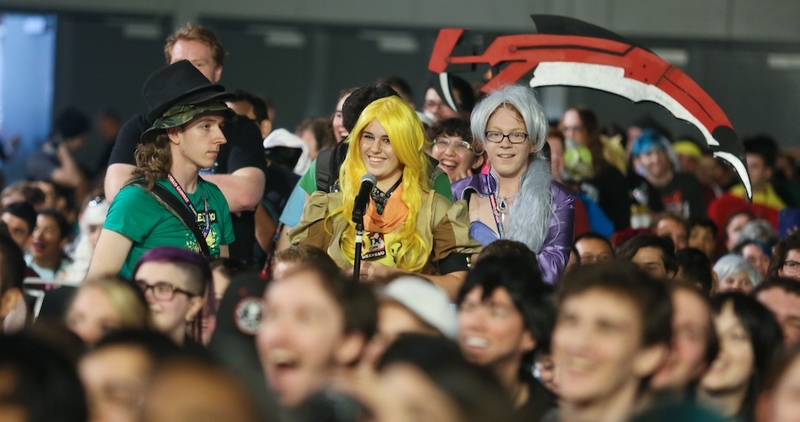 The year before that, the fourth annual RTX saw 30,000 fans converge on the convention center, roughly 20,000 more than showed up in 2013 and 25,000 more than in 2012. All of those numbers started from the first RTX in 2011 with a modest 600 attendees. To put RTX’s 62,000 headcount into perspective, the most well-known online video industry event, VidCon, saw about 30,000 attendees in June of this year at its Anaheim, California location. That’s a difference of some 32,000 people. Tubefilter: When RTX launched, what were your hopes and expectations for it over the next few years? Gus Sorola: I was definitely aiming big when we started. In 2011 when we had our first test event, we were hoping to have about 200 people show up. Due to a ticketing error, we actually ended up selling about 600 tickets in one minute and it was then that I knew this event could be huge. In the beginning, I wanted to make sure that we managed the growth of the event in a smart way so that our attendees would always have a great experience so my projection was that within five years we would be able to grow to the point where we would have to occupy the entire Austin Convention Center. Last year, Bethany and her team actually not only filled the convention center but also overflow hotel space, as well. Obviously, the event is much more than just the number of people you get to come to your event, so I’m also extremely happy that our attendees consistently give the event excellent ratings and vow to come back for future shows. I think the fact that we have always put such an emphasis on quality of programming and exhibitors really helps cement our event as a must-attend. TF: Why do you think RTX is attended so well compared to events in similar industries? GS: RTX is incredibly unique in the event space. Most events exist only for one weekend each year, but RTX lives year round due to the close association with Rooster Teeth. Rooster Teeth creates content all year and constantly talks about RTX and makes people excited at the idea of attending the event. Additionally, the personalities behind Rooster Teeth videos will be at RTX so attendees become excited at the idea of potentially meeting the people who make their favorite videos on the internet. 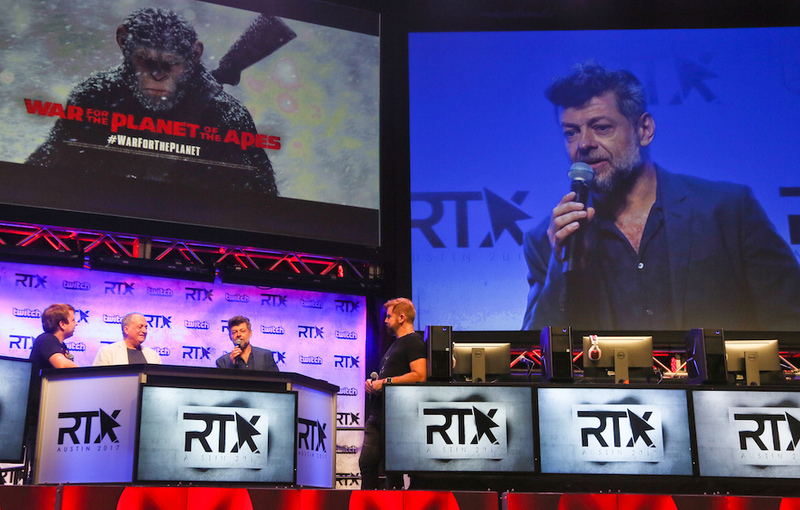 The symbiosis between RTX and RT is really not replicated anywhere else and I think has been a key factor to the success of the show. 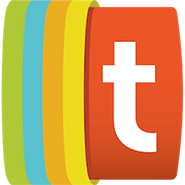 TF: What do you actively work on before the event each year to try to grow its presence? Bethany Feinstein: We seek out new creative talent in the industry who can help drive a dynamic and fresh program each year. In the last year, I’ve looked for ways to increase audience excitement by adding a musical component such as our private Spazmatics concert and the sold-out public concert featuring Phantogram, both hosted at Stubb’s Waller Creek Amphitheater. Additionally, we took over the Paramount Theater for this past weekend to showcase several special screenings such as Netflix’s Castlevania and Fox’s War for the Planet of the Apes. Expanding our footprint beyond the Austin Convention Center truly puts us on the downtown Austin map. TF: How do you choose what guests should appear, what screenings to show, etc.? BF: As RTX grows every year, we invite various gaming groups and YouTube influencers depending on the content they choose to showcase and what truly interests our fans. We like to include special guests that cover different types of internet culture: gamers, Youtubers, Twitch personalities, animators, voice actors, and of course our core Rooster Teeth staff both on camera and behind the scenes. 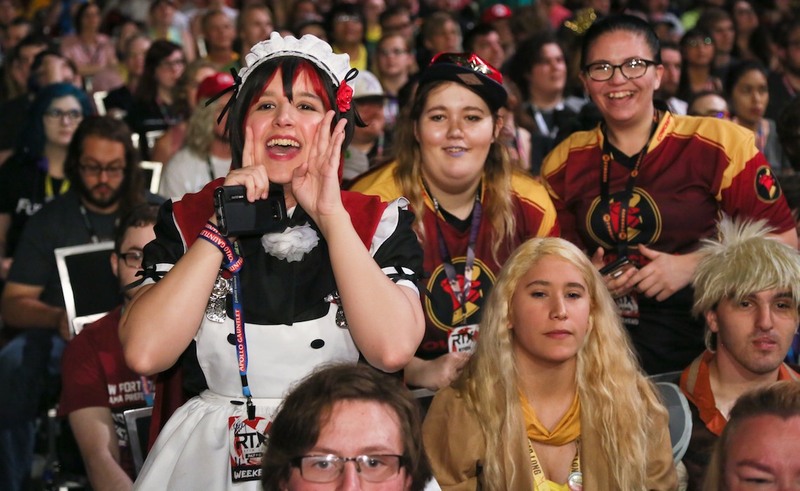 Our goal is to bring a diverse mix of the internet to our community and make RTX a place for our attendees to discover new content and hopefully meet some new friends along the way. Programming is a collaborative effort within Rooster Teeth. We look at each department as the experts in their craft and they help us create a fresh approach to presenting engaging and entertaining content. TF: What’s been your favorite part of running RTX? GS: I ran RTX from 2011 until last year when Bethany took over. I split responsibilities between myself and Barbara Dunkelman and the division of labor was pretty much along the line of front of house/back of house. Barbara managed all the attendee facing tasks and I managed all the logistics and exhibitor/sponsor tasks. My favorite part of running the show was always the move-in period before the show opens. Everyone is so full of nervous energy and you get to see a barren convention center transformed into a playground for all the attendees to have fun in. I loved that moment right before the doors opened on Friday when everything was pristine and still unseen, and all the attendees are buzzing with energy waiting to come in. TF: How do you plan to keep up with RTX as it grows? BF: Since I was hired to run the live events department at Rooster Teeth, my team has expanded quite a bit. My team works year-round to manage and plan RTX Austin, London, and Sydney, along with several other live events. RTX is my ‘baby’ and fortunately I get to experience it three times a year now. It is an incredibly challenging year of planning, but the reward and payoff is and will always be seeing our community at their happiest. They shine at RTX.